Mayor Harry Rilling welcomed the family of the late Eric Malmquist to City Hall on Monday for “a special presentation and acceptance of a one-of-a-kind portrait of the long-time Norwalk High School principal,” according to a statement. 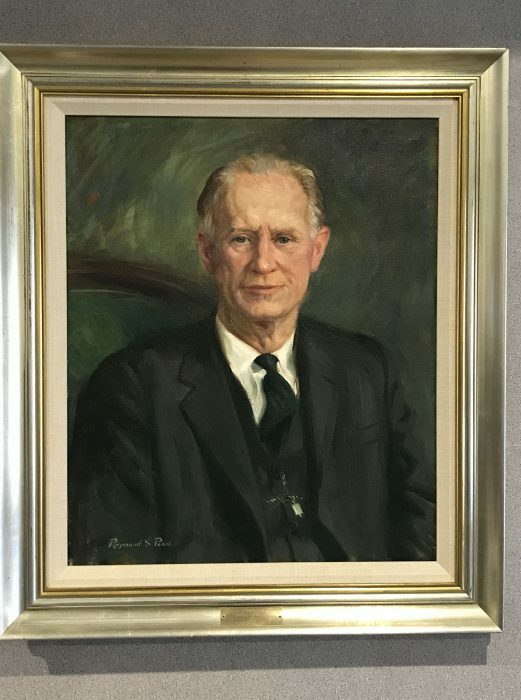 The portrait was commissioned by the 1958 graduating class of NHS and painted by Raymond Pease. Malmquist was Norwalk High School principal from 1939 to 1969, when the high school was what is now City Hall. 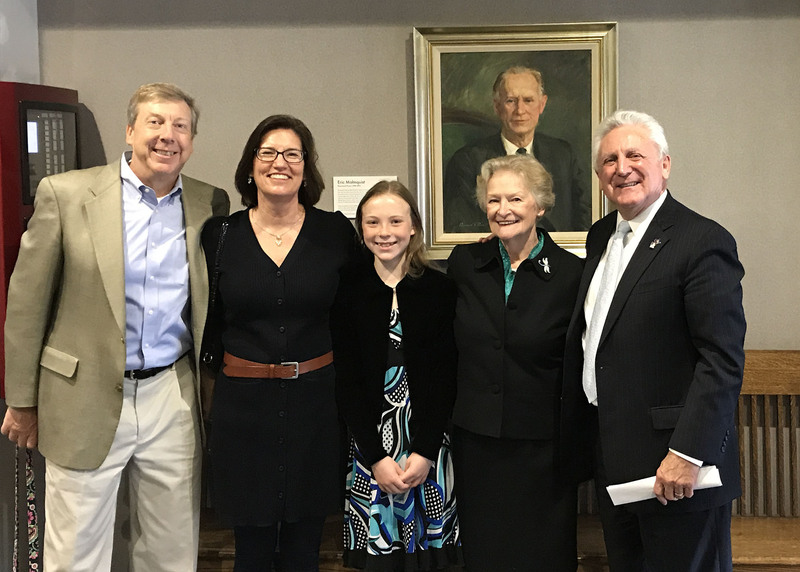 Malmquist’s daughter, Ruth Craffey of Massachusetts, donated the portrait to the City and was in attendance, as was Malmquist’s granddaughter Karen Eldred, her husband David and their daughter, from Washington, D.C. Also at the formal unveiling were members of the Norwalk High School Alumni Association, family, and friends. The League of Women Voters of Norwalk will hold its annual “Pie and Politics” event on Tuesday, April 23, from 7-8:30 p.m. at Norwalk Community College, in the GenRe Forum, East Campus, at 188 Richards Ave.
“Norwalk’s State legislators will be in attendance to answer your questions and to talk about the current legislative session,” a press release states. The event is free and open to the public. The event had been scheduled for March 2 but was postponed due to snowy conditions. The Norwalk Democratic Town Committee is offering what it calls “Politics 101,” at 5:30 p.m. April 25 in the Norwalk Public Library at 1 Belden Ave. The panel discussion will feature State Rep. Lucy Dathan (D-142), Common Council member Darlene Young (D-District B) and DTC corresponding secretary Esther Murillo. Rilling’s fifth annual City-Wide cleanup is scheduled for Saturday, April 27. “The annual event began in 2015 and is held each year around Earth Day. Since the first event, this volunteer cleanup day has collected more than seven tons of trash and debris from locations around the city,” the release said. You can join in at 10 a.m., Saturday, April 27, outside City Hall, where Rilling will hand out gloves, bags, T-shirts, and litter pick-up tools, while supplies last. If the weather’s bad, the event will be rescheduled for May 4. “Individuals or teams can choose a location such as a neighborhood, local park or beach, business area, schoolyard, or shoreline for cleanup. Those who send in before and after photos of a cleanup location will be entered into a gift card drawing,” the release said. Undocumented students can now apply for the Parents of Students for a Dream (PS4D) College Aid Program. “The PS4D assistance program primarily aimed to help DREAMer students in their last year of high school who plan to start college in the fall, as well as for full-time DREAMer students who are already college students and wish to continue with their career in the fall 2019,” according to a statement from PS4D. Applications must be received no later than May 31 and applicants will be notified of scholarship status by end of June, the release states. An address is provided in the application, or you can email a PDF to [email protected] Incomplete applications, or applications received after the due date, will not be considered. PS4D recently celebrated its Fifth Annual Dinner to benefit its financial aid fund, in Stamford, with 140 guests, including some from Norwalk. Can Nancy’s provide information on CT college aid for our CT Veterans and their families. Veterans are American citizens who merit first preference. Publicizing information about college aid is important. Unfortunately it’s not core to NoN’s mission of watchdog journalism. NoN didn’t go looking for the scholarship information in this report, PS4D sent it to us. Most days, financial aid news wouldn’t make it onto the site. 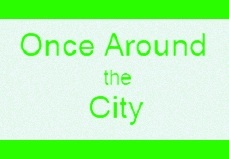 This information happened to fit into a “Once Around the City” column which was already in progress. If NoN is provided with info about college aid for veterans, it may find its way into a future OATC. You and others are of course also welcome to post college aid resources for veterans here today.